Calling all Parrot Heads! Grab your best Hawaiian shirt and other Buffet-themed gear and head to Jag's for a night in Margaritaville at Jag's! Enjoy margaritas, Leinenkugel Summer Shandy, Landshark Lager, live music in the Piano Bar, The Sly Band at 9:30 p.m., and a special bar on the South Patio. 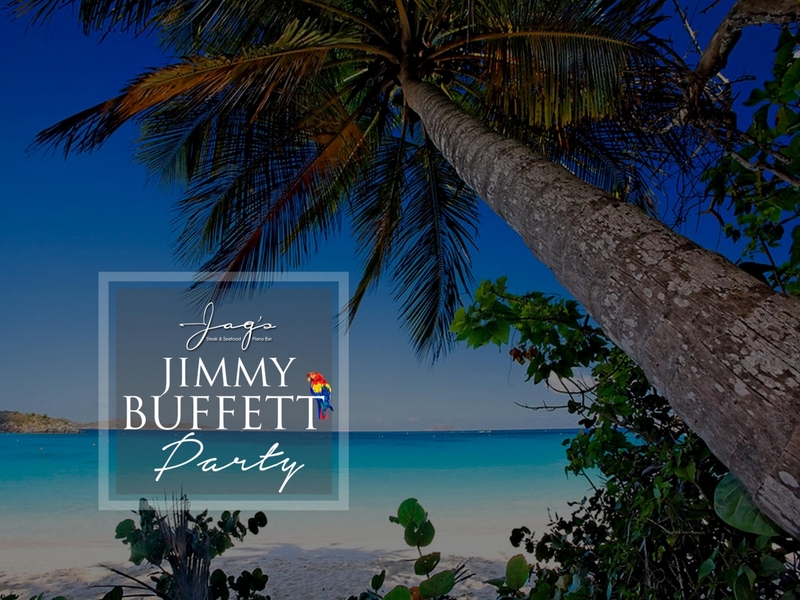 Come enjoy a Jimmy Buffett-themed buffet of dishes like Cheeseburger (slider) in Paradise 5-7 p.m. for just $14.95/person. We'll be giving away fun items all night, including four lawn seats to the June 21 Jimmy Buffett concert at Riverbend plus receive a $10 Jag's gift card to anyone wearing a Hawaiian shirt.